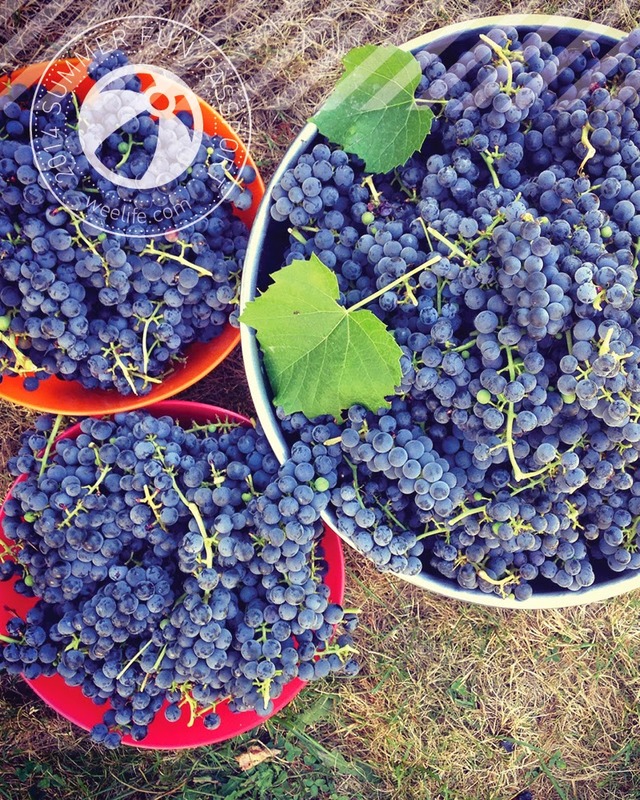 weelife: Summer Bucket List: Growing Grapes. Making Jam. So this hits two of our bucket list items: Grow something and Make Freezer Jam. Well it turns out we were growing a LOT of wee grapes in our front yard, to our surprise (as new owners to our house/yard). It's hard to say that "we" grew them unless turning on the watering system periodically (maybe not even often enough) counts as having grown something. But I can safely say we made jam out of the harvest. It was a lot of work; washing, de-stemming, washing again, cooking down, straining out the seeds and skins, cooking down again ... but SO worth it! Full of grape-y flavour and not too sweet. Yum. We're not finished with summer yet so we are continuing with our summer bucket list for the month of September. Check out our working Summer Bucket list here and all our past Summer Fun entries here. 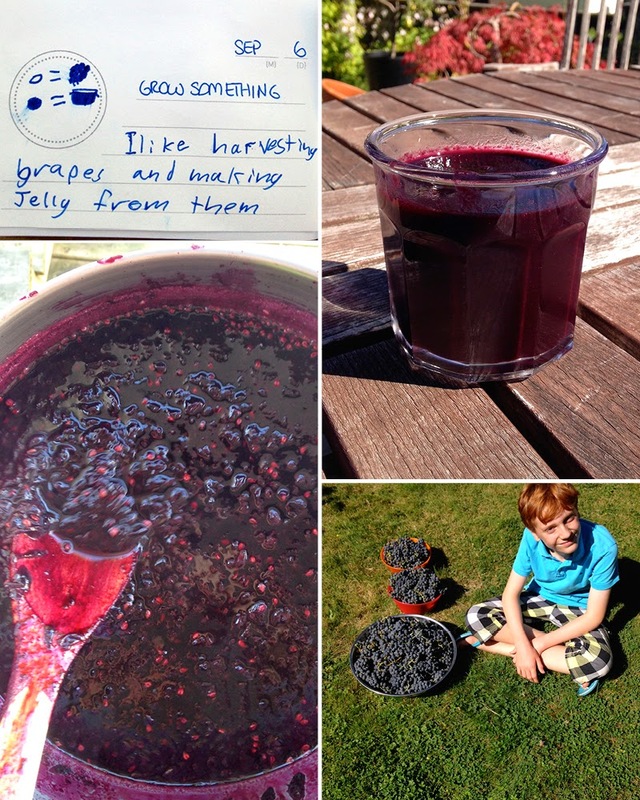 I love the idea of kids following through on a project like this one going from harvesting fruit right through to making jam or jelly. What a gift to the child's life experience and trove of memories.